Some good came out of the events chronicled in this documentary, but not a happy ending. Life can be disappointing that way, especially in today’s China. Nobody understood those harsh realities better than Sun Yi, a Falun Gong practitioner who was sentenced to the infamous Masanjia labor camp. When a woman from Oregon found a note he hid in a box of Halloween decorations it became an international media story that continues to reverberate across China. 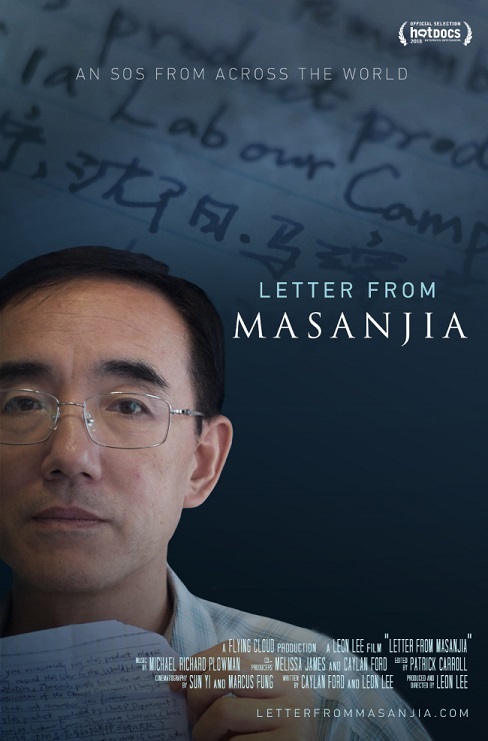 At great personal risk, Sun Yi set out to further document Falun Gong persecution and the horrors of Chinese labor camps in Leon Lee’s Letter from Masanjia (trailer here), which screens during the 2018 Asian American International Film Festival in New York. Two years after she originally purchased it, Julie Keith found the fateful letter Sun Yi had written (in English and Mandarin) in the box of a Styrofoam tombstone purchased at Kmart. She took the letter public, as he beseeched his unknown reader—and it quickly ignited a firestorm. Many criticized her for supposedly endangering the mystery writer’s safety, but they were really acknowledging their own moral cowardice. Halfway around the world, Sun Yi felt vindicated and deeply moved by Keith’s proactive concern. In fact, he was inspired to renew his activism. 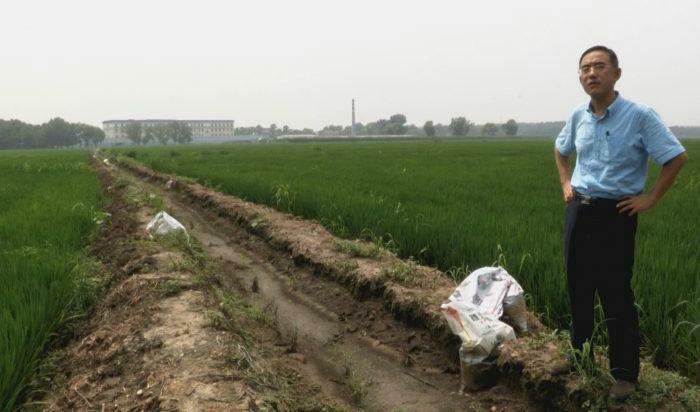 Released through the efforts of a human rights lawyer who would later be held incommunicado by the police, Sun Yi had been lying low, doing his best to renew his relationship with Ning Fu, his ex-wife, who had been forced to divorce him during his time in Masanjia. However, the Communist government is so embarrassed by the subsequent revelations regarding the torture and slave labor happening in labor camps, Sun decides to document his story while the time was ripe. Soon, he is collaborating with Lee over secured skype chats and clandestinely filming around Masanjia. Unfortunately, it is not long before the authorities suspect he is up to something, or they just intend to sweep him up with a regular Falun Gong round-up. Regardless, the cops start harassing Ning and his family, forcing him to go underground for their safety. At times, Letter is unspeakably intense, because the danger is so real and palpable. The bespectacled Sun is also an acutely human everyman protagonist. You would almost call him nebbish, were it not for the aura of dignity that surrounds him. Of course, by documenting his own travails, Sun and Lee have produced a searing expose human rights violations in China. This is a case where the personal is political and the political is personal. Letter was exceptional well cut together by editor Patrick Carroll because it largely plays like a thriller, but functions as an airtight indictment of CP crimes against humanity. Frankly, the final scenes have the force of a 2x4 to the face. Not to be spoilery, but Sun will not be available for the post-screening Q&A—and that really stings. This is a frightening film for many reasons, starting with the suspected Chinese agent, who if he got to Sun, did so on foreign soil (Indonesia, who did nothing about it). More fundamentally, it depicts the sadistic torture endured by Falun Gong practitioners. We know several practitioners, so it chills us to the bone thinking of what they could face from China’s terror machine, even if they never set foot on the Mainland. Like Anastasia Lin, Sun also makes the point that consumers should do their best to only purchase products made by democratic countries. Letter is a scary film, but it is also deeply moving. It serves as Sun’s epitaph, but it also gives him the last word. Ultimately, it is a fitting tribute to a brave man. Highly and urgently recommended, Letter from Masanjia screens Saturday afternoon (7/28), at the Village East, as part of this year’s AAIFF.